By Joseph M. Johnson Sr. 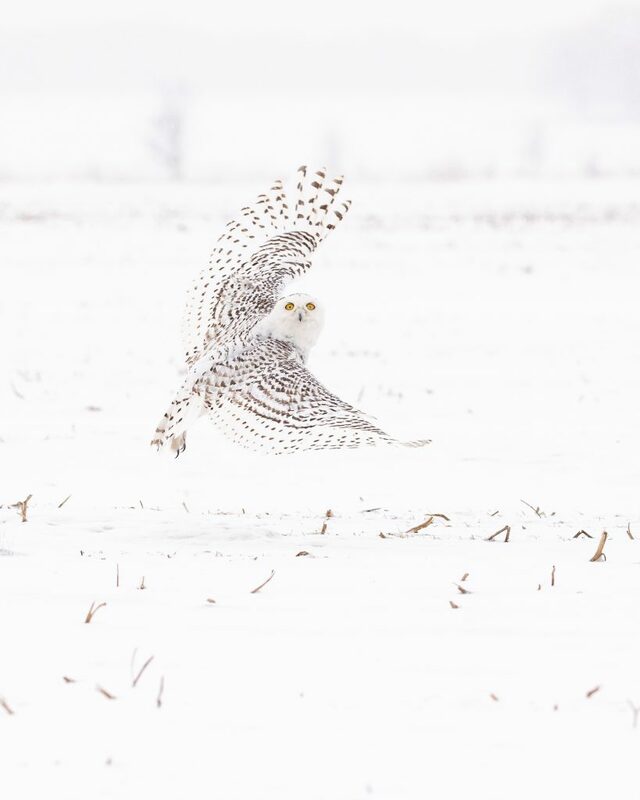 In early March 2019, my wife Joan (RRS CFO) and I photographed snowy owls in the Canadian Ontario countryside with Skarpi Thrainsson who owns Arctic Exposure in Iceland. 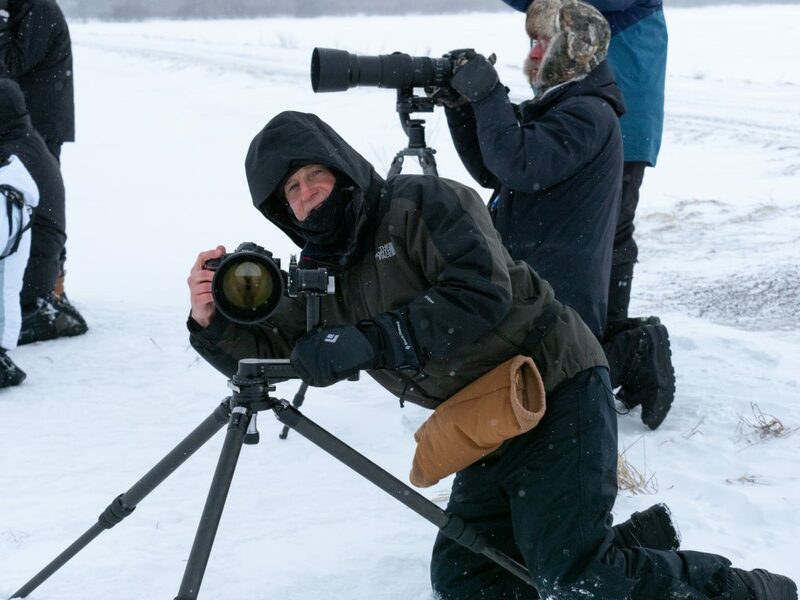 Two years ago, we went to Japan with the imitable John Shaw who lead a Joseph van Os tour to Hokkaido and Nagano to shoot beautiful red-crested cranes and snow monkeys. This is the first of two articles recounting our experiences on those two trips, sharing some of the images we captured of those wonderful creatures, and comparing and contrasting the two trips. Both of these trips were done in February-March. Spring is knocking on our doorsteps here in the Northern Hemisphere and I’m sure most are eager to put winter behind us. I originally thought it best to publish the articles late in the year just ahead of winter, but I’m too anxious to share and feel the advance planning and booking required for these expeditions justifies publishing these now. 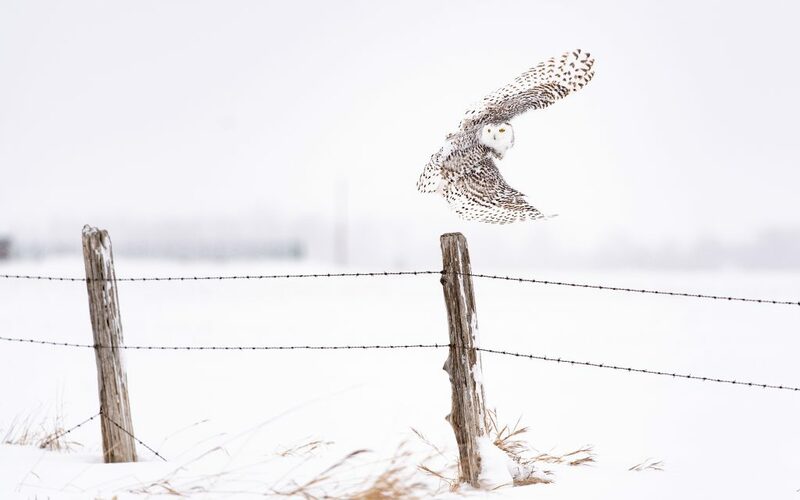 Snowy landscapes make a surreal backdrop to winter wildlife images. 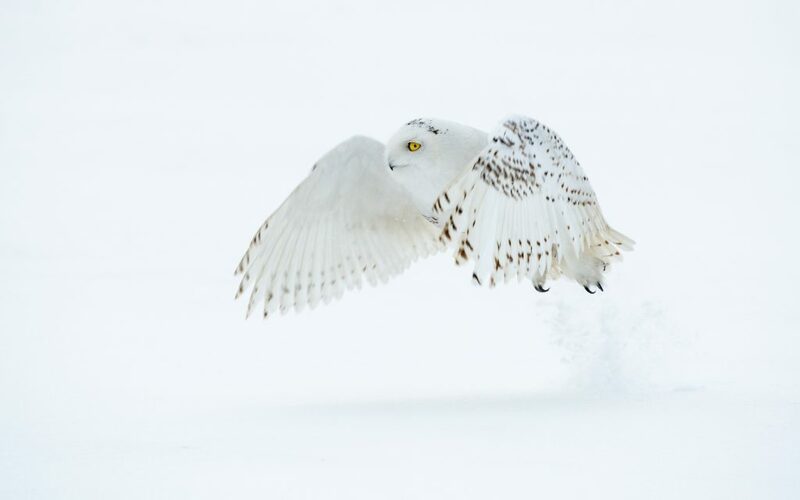 Capturing gallery-worthy images of some of the world’s most magnificent creatures in their winter habitat tests our resolve to endure the inherent cold or even extreme weather. It is further complicated because we must simultaneously grapple with multi-thousand-dollar camera gear requiring a fair amount of fine motor skill and creative acuity. It requires significant planning and preparation. Teaming up with professionals who specialize in helping us mere mortals overcome those challenges not only vastly improves the probability of photographic success, but also eliminates much of the stress of dealing with the more mundane travel and lodging logistics. Unless I’m photographing a familiar subject in familiar territory, I consider selecting a competent wildlife guide a must for me and being “in the business” I have the good fortune of knowing some truly outstanding workshop leaders. Full disclosure: I’m a big fan of John Shaw and Skarpi Thrainsson. Really Right Stuff enjoys a long professional relationship with both individuals and are proud to count them as RRS “Champions.” However, it is more important to me to pass on reliable, trusted information to our honored customers than direct business to John or Skarpi. Joan and I paid full price for our trips and are not obligated in any way to publish glowing reviews. Kindly rest assured I would simply not mention the tour leader or company if I was in any way displeased with their performance. 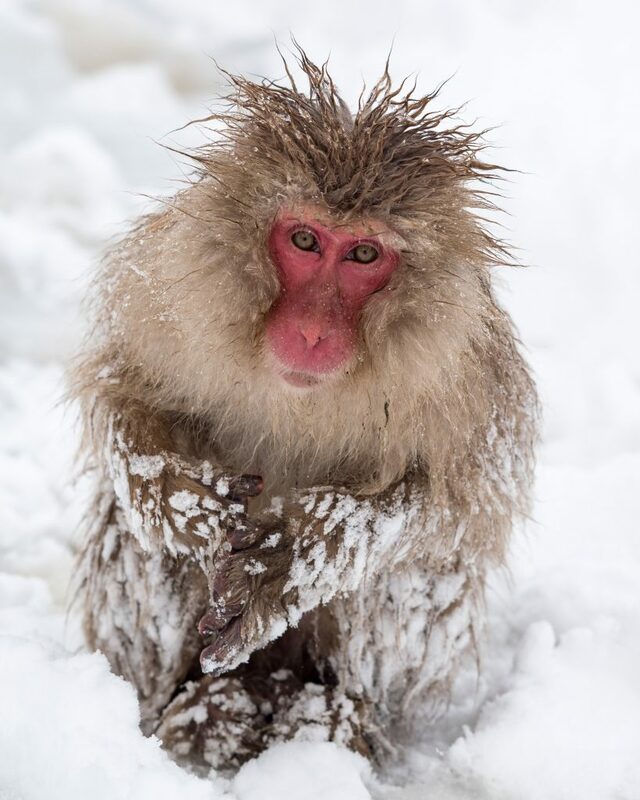 Joan adores owls and snow monkeys. Who doesn’t? In San Luis Obispo, we have a great horned owl that often hangs out at night on the roof atop our bedroom thankfully preying on the ever-noxious field mice that constantly try to invade the tranquility of my home (yes, yes, yes – don’t bother telling me I’m the real invader). 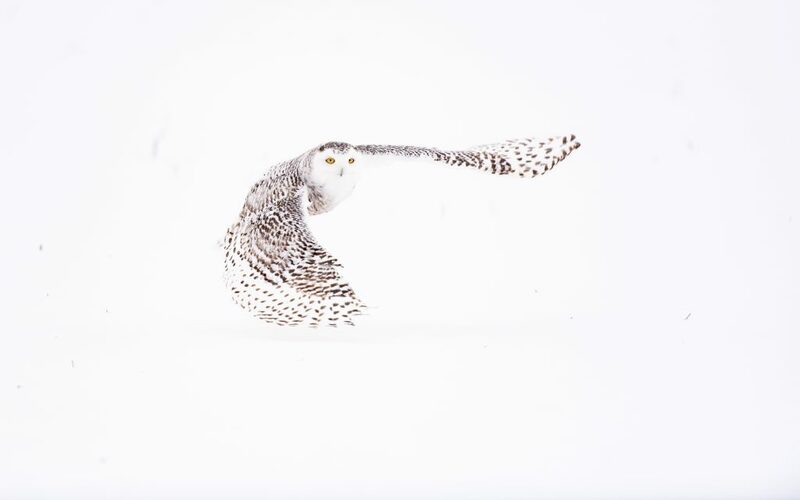 Though Joan isn’t especially enamored of the late-night wake-up hoots, I can’t count the number of times I’ve heard her ooh and ahh at the striking yellow eyes of snowy owls seemingly staring right off a magazine page or Instagram post directly into her soul. After hearing one of those oohs sometime last fall, the perfect surprise Christmas gift suddenly became obvious – a photo workshop created to help her experience these incredible creatures in person! 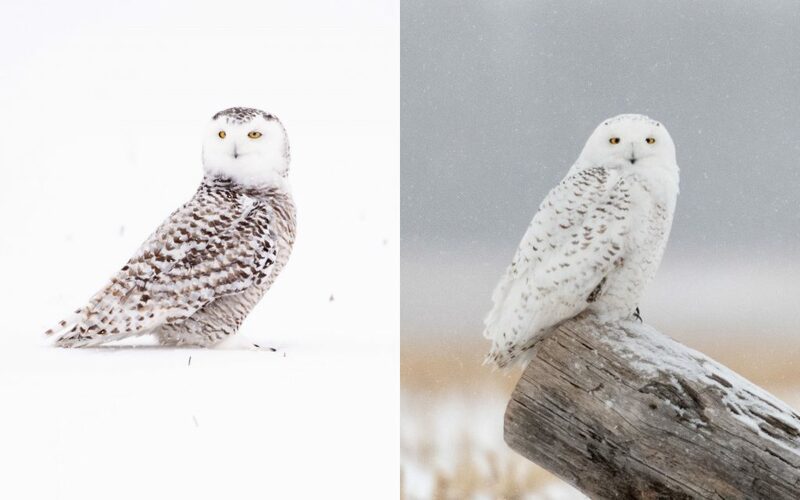 I put together a workbook of snowy owl facts and images, the itinerary of Skarpi’s February-March 3-day workshop, a packing list and the sell-sheet of the perfect new micro-4/3rds 40-150mm f/2.8 Olympus Zuiko lens I’d need to get her to complete her snowy owl camera gear kit. Mind you, I couldn’t buy all this stuff before Christmas knowing she’ll see the credit card charge and my surprise plot would be foiled. The notebook wrapped in Christmas paper secrecy turned out perfectly. When you book an expedition with trusted workshop leader, much of the pre-planning legwork is taken care of. They will send you a complete itinerary telling you when and where to arrive, what you’ll be doing on the trip and what meal and lodging arrangements are covered by the workshop fee. You’ll also get a nice checklist showing the recommended clothing and photo gear. You will need to arrange your own travel and lodging for getting to and from the workshop. Be sure to let the workshop team know your intentions because they may have some good alternative suggestions. We planned to fly in a day early, stay in a hotel one night in Toronto and then transfer back out to the airport to meet the workshop team at the planned rendezvous. As it turned out, Skarpi and one other workshop participant were also coming in a day early and Arctic Expo-sure arranged for us to go out to the workshop venue a day early (extra cost). You will also want to fine-tune the clothing and camera gear checklist for your own requirements. For winter trips, I recommend sticking pretty close to the workshop leader’s clothing list. 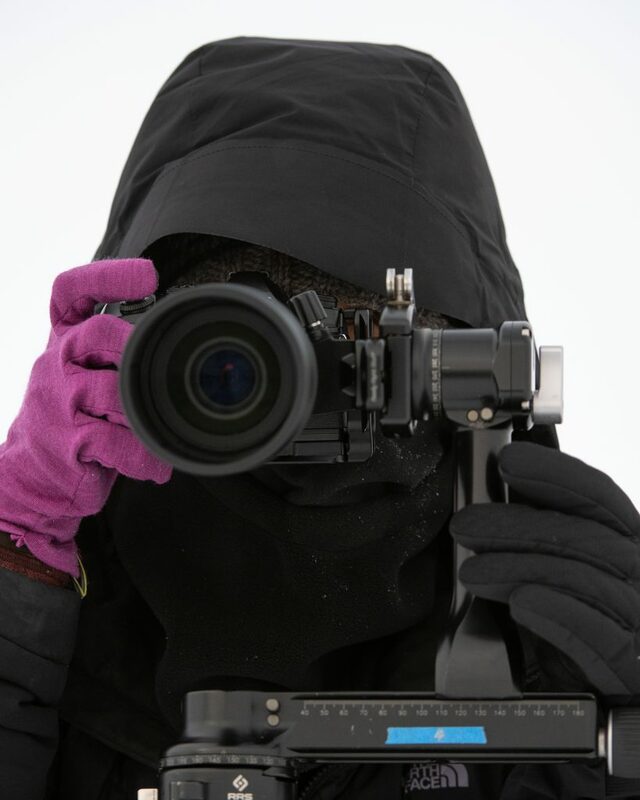 For example, Skarpi recommended we bring a face-covering balaclava, something we didn’t use in Japan. Even though we didn’t feel like we missed it in Japan, we decided to go ahead and get the face masks and were so glad we did. The temperature was lower and the wind was much stronger in Ontario than in Japan – the balaclavas made it bearable. We found a brilliant product for keeping your thin-gloved shooting hand warm between shots: an outdoors-man’s hand muff with a hand warmer inside. We were cursed or blessed with some extreme weather conditions. Half the team almost didn’t make it to Sweetfields on day 1 because the roads got closed outside of Barre from blowing snow storms. The first day of shooting, I thought my muff would be enough to keep my right hand warm and wound up with mild frost-bite on two finger tips (the skin is peeling as I write this). Be mindful, follow the instructor’s suggestions and keep your physical well-being as the top priority ahead photography. There’s no shame in waiting in the vehicle if you get too cold. Bring plenty of batteries (don’t forget the charger). Don’t plan to change lenses much (or any) in the field, so no need for lots of lenses. Extreme long lenses (500mm+) aren’t needed and are tough to use. Even a 70-200mm was sufficient for most shots. Joan mostly (90%) used her new 40-150mm f/2.8 (80-300mm equivalent) micro-4/3rds Zuiko while I stuck with my 200-400mm f/4 Nikon. Test shoot your gear before you pack it and even transfer the test shots onto your computer. I never had any trouble with my Sony a7Riii before, but for whatever reason I can’t get the images to download. Luckily, I found the problem early and it was only a back-up camera anyway. If I tested it before I left, however, I would have saved time in the field plus the weight and bulk of the body, two lenses, batteries, charger, etc. A stitch in time…. Sweetfields Farm is an hour and half drive north of the Toronto airport in the Ontario countryside. 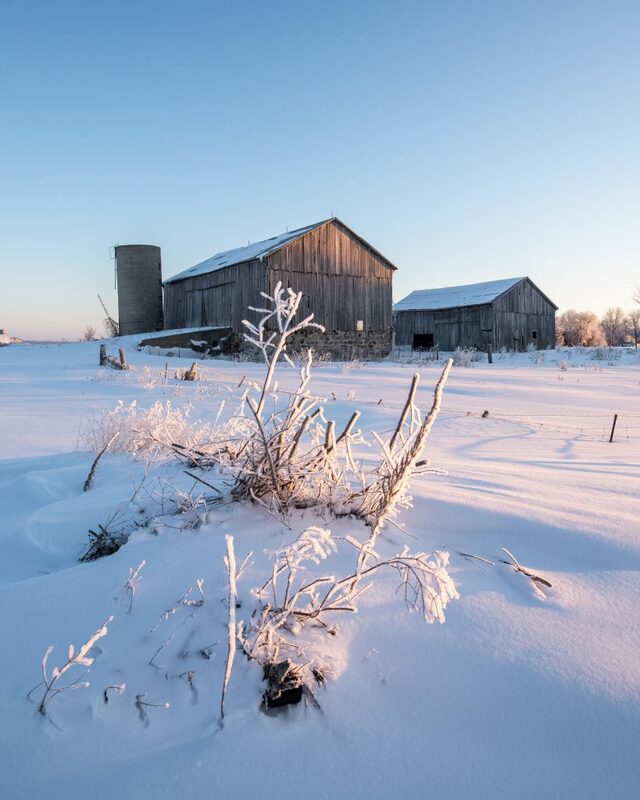 Expect real farms, real farmers and genuine Canadian hospitality. The 100-year-old farmhouse bed-and-breakfast was the perfect haven for our 7-person workshop clan. This is not a slick, over-styled hipster house, but an authentic brick country farm home on 50-acres. Cheri, the proprietor extraordinaire, retreated from the Toronto city life a few years ago and transformed the old house into a successful, year-round B&B with authentic country charm. Sharing the day’s experiences around the dinner table while eating a home-crafted meal with fellow-photographers made for a perfect cap to each day’s adventure. It’s hard to imagine a more pleasant setting. 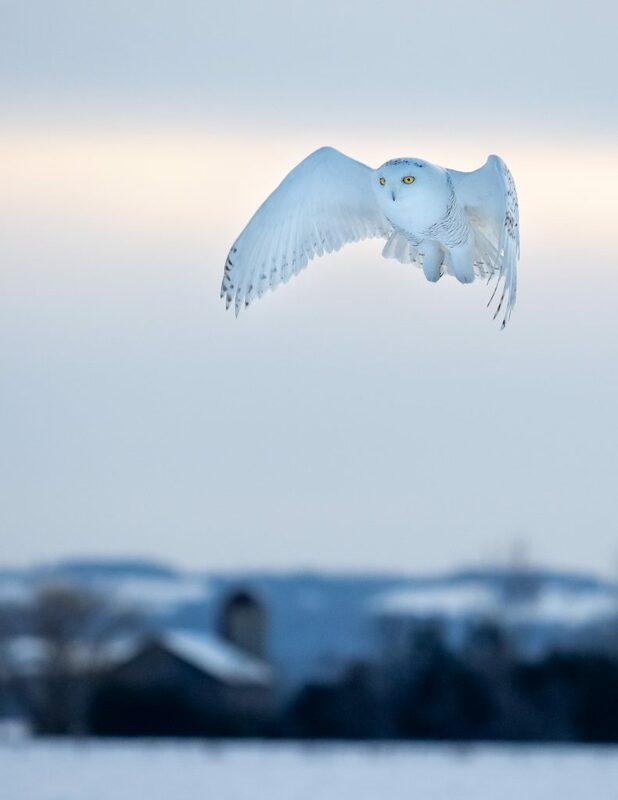 Snowy Owls are nomadic birds. They come south in the colder months (although it’s hard to image the -20˚ temperatures of Ontario being that much warmer) and then fly far north to the Arctic for breeding and nesting. They cover quite a distance and don’t always return to the same territory. 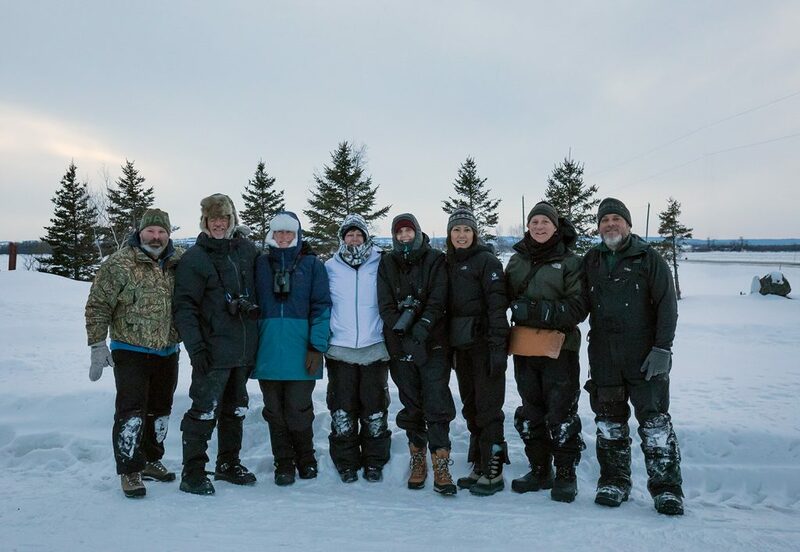 Skarpi teamed with local guide Len Silvester who actively assists the snowy owl banding program with the Canadian Ministry of Natural Resources. 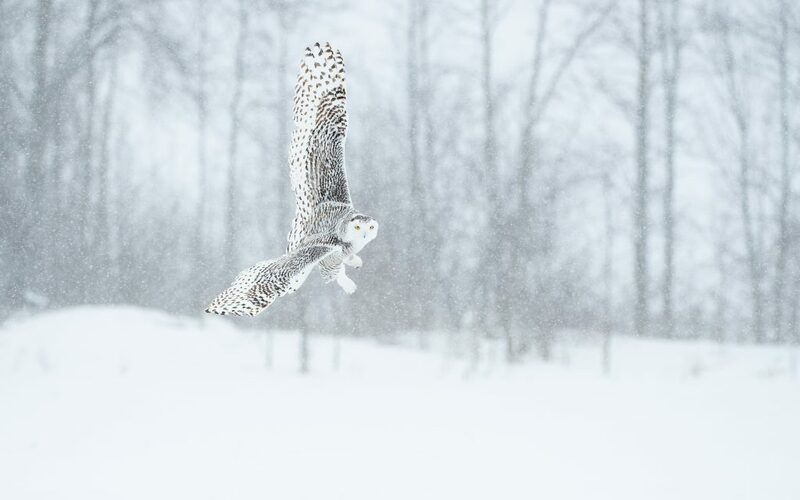 He says they’ve captured snowy owls in Ontario that were banded as far away as Russia. Unless it’s mating season, the owls stay to themselves. They tend to be territorial and the larger females are often seen chasing the smaller males away. Besides size, females are distinguished by abundant brown/black bars or spots while males have fewer and dimmer spots; the older the male, the fewer the spots. As with most diurnal wildlife, these owls are most active just after sunrise and just before sunset, which happily coincides with the “golden” photo hours. 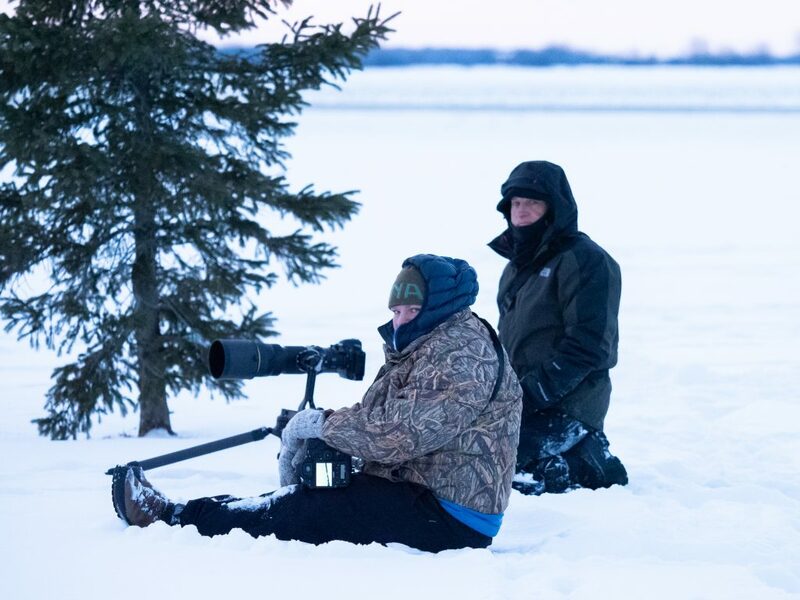 For three days, our troop set out at the crack of dawn, took a mid-day break for lunch or other sites and then resumed photographing owls a couple of hours before dusk. Because the owls are territorial, we could usually count on them returning to their familiar hang-outs and so we rotated through about half a dozen prime spots. 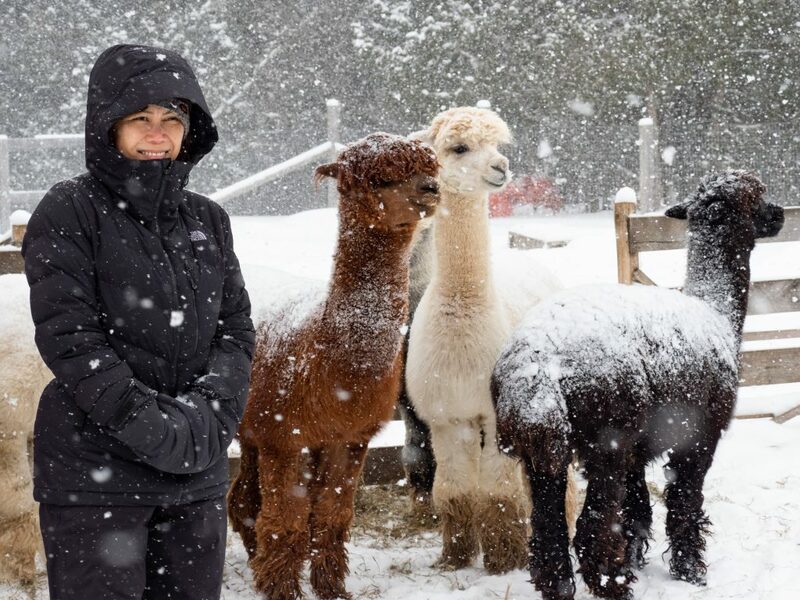 One of the highlights was a mid-day trip to the G n’ R Alpaca Farm! Joan immediately fell in love. Frankly, those incredible, big eyes and stuffed-toy appearance sucked us all in. Skarpi suggested shooting at f8 and then setting the ISO to achieve 1/1250 – 1/3200 second shutter speed. Shooting a white subject in a snowy setting also means you’ll be opening up 1.25+ stops. Don’t be afraid to experiment too. I liked shooting at f/4 and a slower shutter speed (1/640 – 1/1200). 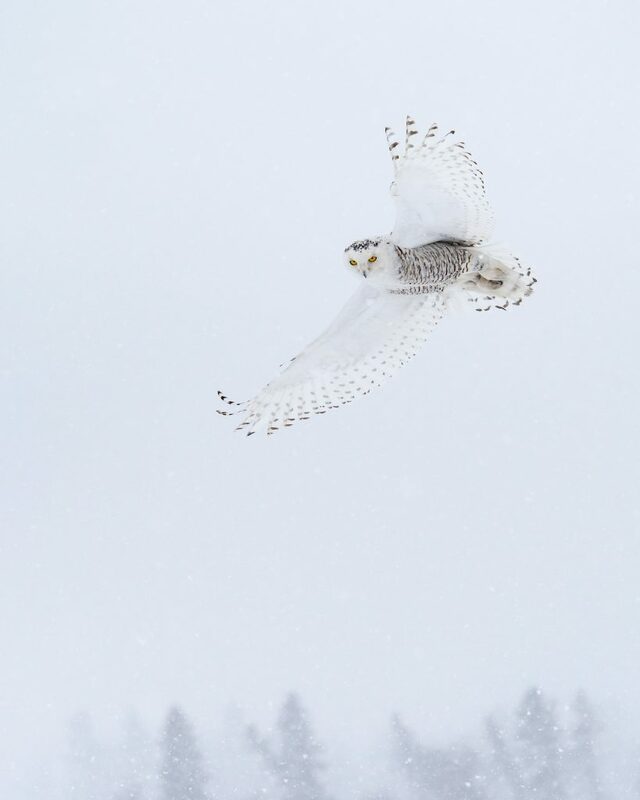 At those settings, not all of the owl will be in sharp focus and the wings tips will be slightly blurred – but to me the result more naturally shows action rather than a perfectly frozen bird in flight. Over 3 days of shooting, with any luck you’ll be taking plenty of frames, so after you have a few keepers in the can, mix it up a bit. Take a look through the image captions for exposure and gear data. One of the best suggestions Len gave us was to not screw our faces permanently to the viewfinder, but just stand back and watch these beautiful creatures to appreciate their grace and power. It was an awe-inspiring, humbling experience just to be in the same field and watch. Thanks to our workshop leaders, Skarpi and Len were true professionals and prioritize protecting the wildlife as well as the workshop team’s welfare and success. Thanks to our workshop team who followed the workshop leader’s directions and thus helped protect the wildlife we came to experience. Thanks for being superb room-mates and for considering the comfort and success of the rest of the team. Our Canadian hosts were a credit to their nation and proof positive of why Canada enjoys a stellar reputation for warm hospitality. From Cheri, our super B&B proprietor, to the van transportation owner who braved the bitter storm and closed roads to bring half our crew safely in, to the café and shop keepers; all received us with warm Ontario kindness. Thank you. Again, thanks for the excellent write up and best regards from Charlotte, North Carolina.